Fuchun Primary School is located at 23, Woodlands Avenue 1 in Singapore 739063. It is enclosed within the Woodlands Region. Woodlands, now called Woodlands New Town, is a sub-urban town situated at the northern section of Singapore. It is an estate that is surrounded by trees, fresh air and great view thus rendering a countryside feel into it. Nearest MRT is Marsiling MRT and closest bus interchange is Woodlands Regional Bus Interchange. Amenities in the area include Causeway Point, Vista Point and Woodlands North Plaza. 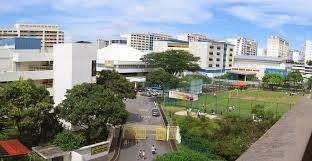 Some of the Schools close by are Woodlands Primary School, Innova Junior College and Marsiling Primary School.